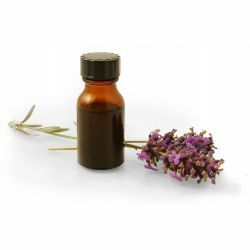 Lavender absolute (Lavandula angustifolia) is a dark-green liquid, which smells sweeter and less floral than the essential oil. It is a valued perfumery and aromatherapy material. There are about 25-30 different species of lavender belonging to the Labiatae family and we only use a few of these. French lavender oil (Lavandula angustifolia) comes from Provence. Lavendin oil (Lavandula hybrida) comes from a hybrid plant, developed by crossing true lavender and lavender spike. Lavender oil is the most versatile essential oil. It is obtained from the flowering tops of the plants by steam distillation. It is used medicinally for burns, sunburn, muscular pain, skin complaints, cold sores, and insect bites. Lavender is often used to calm the mind, aid restful sleep and as a relaxing oil. We use lavender absolute in A French Kiss Bubble Bar for its sweet, relaxing aroma.